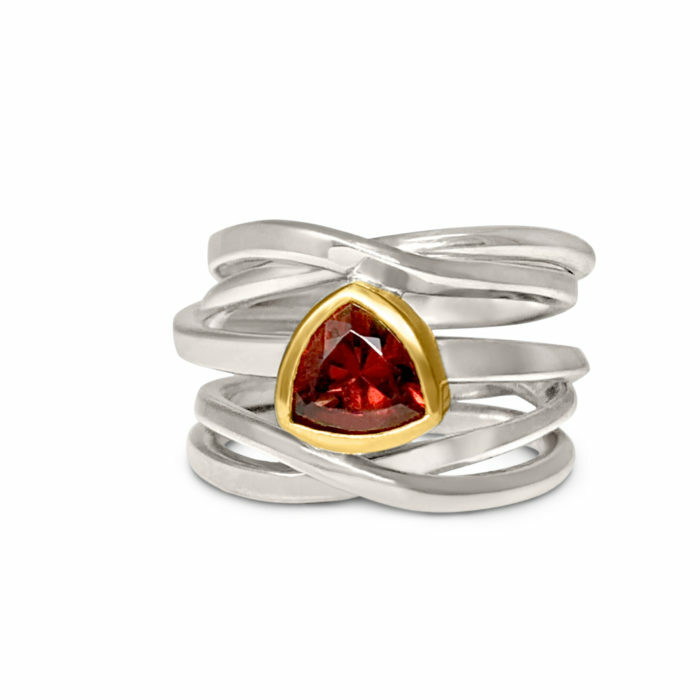 I really enjoy the dynamic shape of a trillion cut stone – especially in red – set in 18k yellow gold into a sterling silver Onefooter ring. 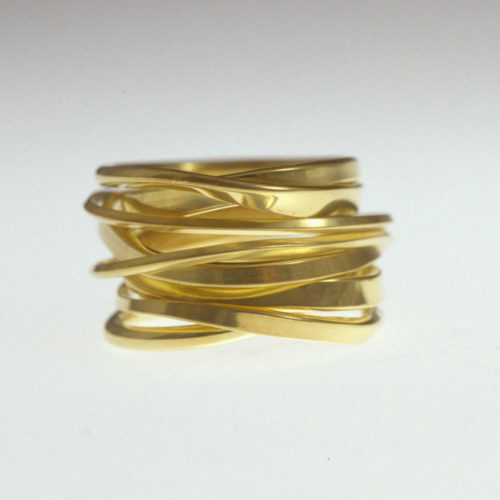 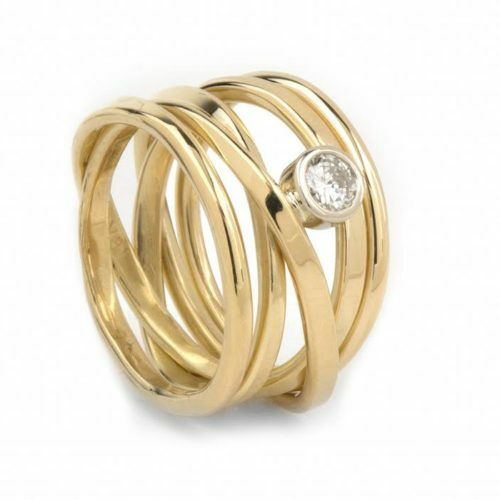 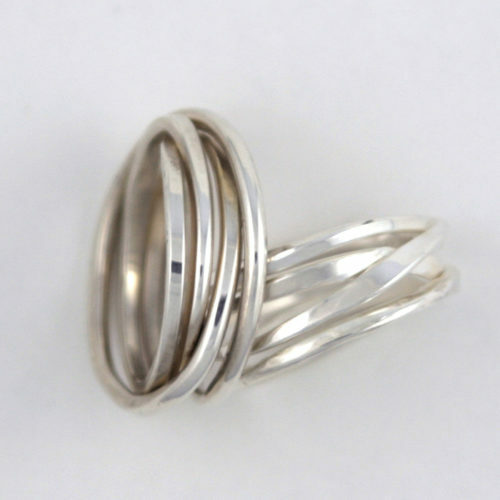 I find that the resulting rings are very shield-like – they have a mediaeval flair to them, while at the same time being contemporary, and completely unique. 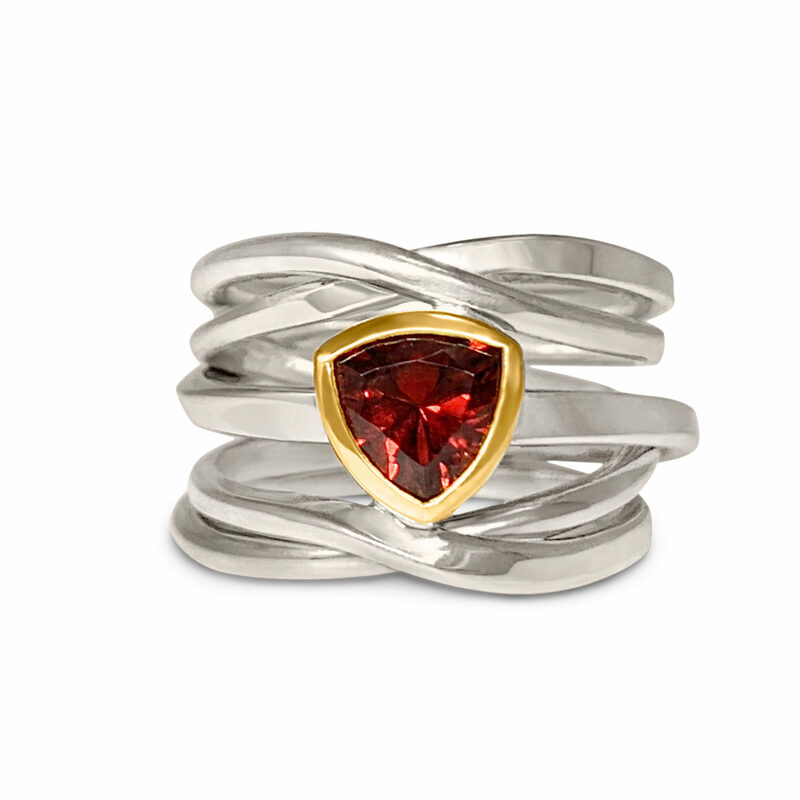 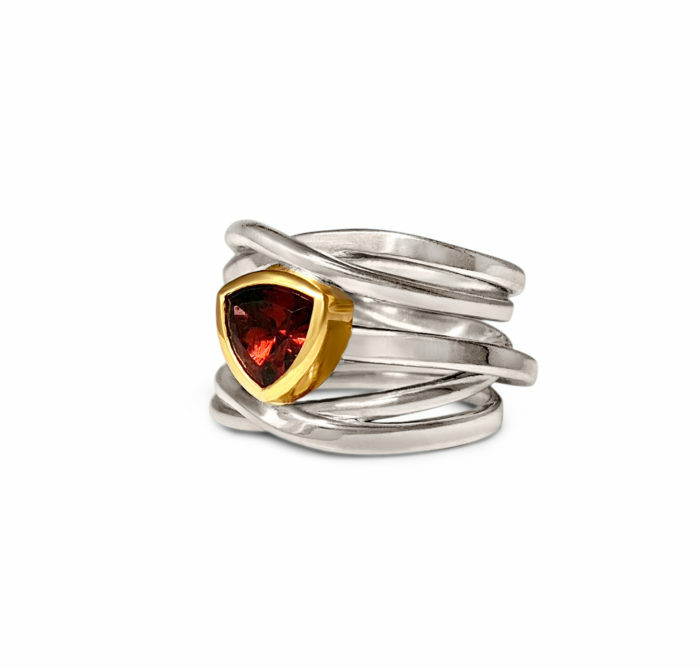 This rhodolite garnet is set in 18k yellow gold, on a sterling ring in size 8 .